This is a quick sketch of my best friend, Cooper, and his lovely wife, Amanda. 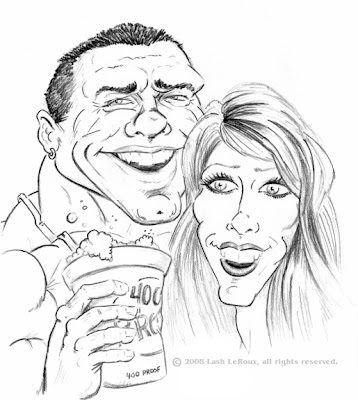 I love doing caricatures. There’s something extremely satisfying about capturing a good likeness in a humorous way. Especially, if the person is instantly recognizable to family and friends. You can’t look at a good caricature and not smile! Hey great work man! I really love the below pic of the undertaker too - very nicely done!